I had just about had it one fine Monday. It was already eight in the morning and before my son woke up, I had to be ready with his meal box. My husband was on a veggie diet and I didn’t have enough veggies in the house. I was so frustrated. Somehow I managed to have everything ready within time. I realized that it is high time to start maintaining a meal calendar and I was somewhat successful but still had to go through so many food related tantrums and wastage. I dislike cooking meals if I see food getting wasted. So back to square one. Meals are probably the most important part of the day and having one at right time based on need is quite important for a family to grow the right way. A few weeks ago I was chatting with an office colleague who gave me the idea to look for a easy to use online meal calendar that could help me. I was at it for almost three hours since I was trying to find an application that could run on all devices (Android, iOS and Web). After downloading a few apps, my search stopped at Famealy. Yes I found it! 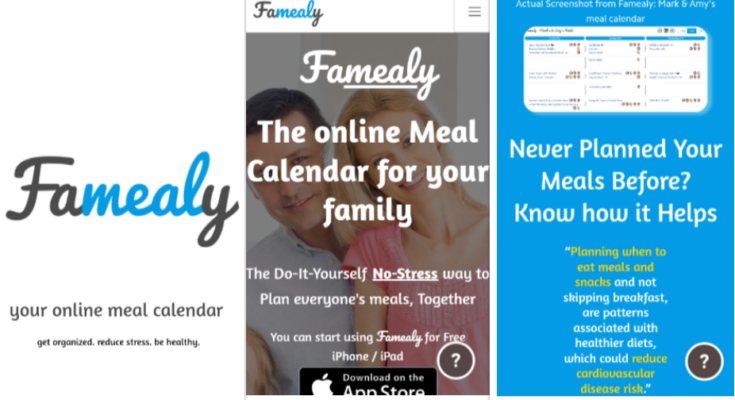 Famealy (download here) – a simple and easy accessible online meal calendar. Honestly, experimented with a few others apps but stuck with Famealy because I wanted an application that allows the entire family to edit and access the calendar. Also an app which allows each family member to prepare their own calendar and share with me. I wanted the application to allow me to notify to shop and help maintain plus manage a shopping list. This would save my time at the grocery store and also, less shopping related tantrums! Famealy – Why I recommend it? Famealy is an online meal calendar for my family. THE Do-it-Yourself NO STRESS way to plan everyone’s meals together. 1. Famealy works on multiple devices thereby allowing family members to access their account anywhere. 4. You can easily add, change or move a meal. Specify who is eating what! 6. The best part is that I printed the calendar and stuck on my fridge. 9. The best one is, yes you guest it, reduced tantrums since every member plans their own meals. 10. Another additional benefit using Famealy was reduced food wastage. Preparing food based on individuals saves both time and money. I have been using Famealy for three weeks now and I am just loving it. I was able to reduce the food wastage to almost 60% on a weekly basis. Check out my meal calendar below with meals marked for my son. I just shared it on WhatsApp with my spouse and asked him to make change to it if he wants. Famealy treats a family as a bunch and does focus on individual planning. I don’t plan meals for my family. My family members plan their own meals and share it with me. Famealy doesn’t assume entire family having one dish. This helps me plan for meals for my 3 year old son allowing him to have something new every day. Variety is the key for toddler. I add my family members (husband, dad and sis) thereby helping me to plan the entire week. It was so easy to add members. It can be done in two ways – First, you can just add their name to the calendar so it’s easier for you to mark what is being cooked/planned for them, and Second – you can add them with View/Edit access, which means they’ll be able to login to the app from their own devices and make changes / add to shopping list, etc. The second approach means everyone in the family can have up-to-date synchronized meal calendar on their phones / desktop, and with Edit access they can also contribute to the meal planning. What I love about it is that it doesn’t force a particular way of meal planning. You want to only plan certain meal slots, can do. You want to take printout of the meal plan and use that throughout the week, can do again. You want to use desktop but your spouse uses a phone?. You want to share your meal plans with grandparents / other extended family members, also done. I use WhatsApp, messaging, or even Twitter for friends. Try sharing your meal plan (use 7-day option) using the Share feature and share it with a friend / extended family on WhatsApp. They’ll be amazed. Another aspect I loved is the understanding of family dynamics in collaboration – I gave “Edit” access to my spouse, but “No” access for my child and “View” access to my cook. (In the process of installing the app on my cook’s phone as well for greater ease). Reminders are currently fixed. Custom Reminder times is probably an upcoming feature which they will likely make available to Paid plan users. Users getting an option to hide meal slots they usually don’t plan for (this feature was released in the Web app). They will release it in Android and iPhone/iPad apps in a couple of days. Recipe links for meals and options to store complete recipes as well (this feature will be added in another 2 weeks). Optional reminders to start cooking a meal. Copy/Paste functionality on mobile apps. They already have Copy/Move using drag-and-drop on Web and mobile apps – but not “Copy” on mobile apps. This feature will enable users to copy over an entire previous week to current one, copy one meal to all 5 days of the week, etc. (this feature will be released this coming weekend). Next Article Introducing reading to kids! – When should you expect your kids to read? Great app. Wasn’t aware about it. Will definitely get it to keep the meal healthy without going out of budget. I absolutely LOVE this. I literally write my meal plans out every week…and then lose them in the shuffle of cleaning up. An app is exactly what I need! This is such an amazing user friendly app! Food is perhaps the most neglected agenda in fast paced world of today and this can go a long way in ensuring proper nutrition powers your family. I love apps that help get your family and home organized. This is great for families who have a variety of meal preferences as it is accessible to all family members. Great Idea! Saves so much time thinking what to cook everyday! Meal planning is something I need to do more of. I think it would take a lot of stress off of me. This looks like it would be fantastic. Oh this sounds so cool! I will definitely download this right. thanks for sharing! Travel + food = awesome experience! I like the how they play words to come up with this app name, totally clever. I will check this app! I like the idea of knowing what recipes are coming up. I have tried to plan but do not do so well, but maybe with this online meal calendar it will help me. I have to show my sister this. She always calls me in the after noon with things to say such as: “I don’t know what to make tonight” & “What can I make with [insert food items hear].” She would love to hear about this. Meal planning is definitely something that I try to do. It can make the week that much easier and this looks like a great tool. This is a really good idea, I am always running out of ideas of what to cook so planning would help me out! This is something to consider… I’m currently working with frozen crock pot meals. I prepare them in advance, and the night before I see what I want to make the next day. I then take it down to defrost and put in the the crock pot in the morning ready for dinner later that same day. I have never heard of famealy before. I’m all for meal planning so would love to take a look at this. never heard of famealy before. I would definitely consider it to help managing meals and prep! What a great resource! We dont meal plan but with six of us in our house we really should. We waste a lot of money with not planning! This looks awesome. I need to be more intentional with my meal planning for my daughter and I and this seems like it would be a ton of help. I will have to check this out. This is such a good idea! Life’s is so stressful with everybody wanting to eat differently and this concept seems to really help. I love that this online meal calendar is so convenient and easy to use. 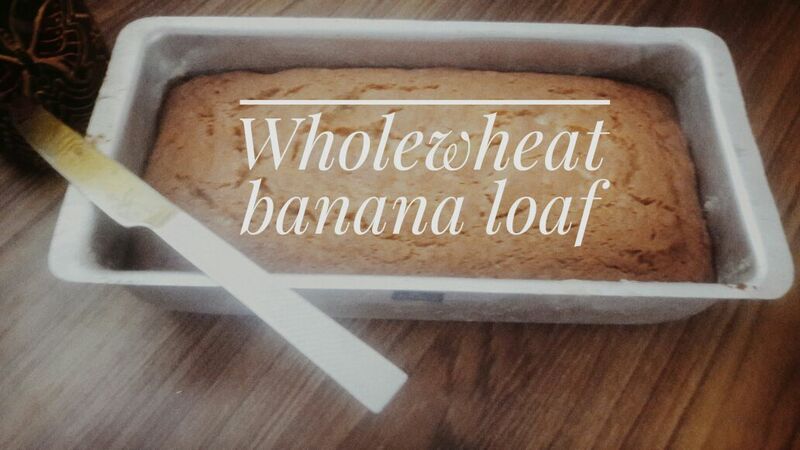 It’s the perfect way to keep track of meals when you are on-the-go. I like the sound of this app. I struggle to come up with meals on most days. Meal planning would definitely help. This sounds like an app I need. I struggle to meal plan on some weeks. This app will be a life saver. Wow never heard of famealy before but I could definitely see how useful it could be to manage meals and prep. I’m going to check it out because I’d like to get back to a schedule of sorts. Feel free to share your views! Sounds like a really great idea. Not really sure if my family would do it. I usually just do the monthly meal planning. Monthly calendar! wow. I usually stick to weekly since my husband is on tours for some weeks and his are unplanned tours. Thanks to his job! It’s just me and my boyfriend, so we don’t need a family meal planner. Not so complicated to buy, cook, eat, and not waste food when there is just 2 involved and we pretty much like to eat and drink the same things. But if I was tasked for meal planning for more people, I could see how an app like this would be so helpful. I like that it is easy to use and that it works on multiple digital platforms. This would be helpful when people are traveling or won’t be around for meals. What a great app! With a family of 6 we really should meal plan more than we do as we are a bit all over the place! I will look this up! Would come quite handy for you! Now this sounds like such a great idea, I love that you can easily share it all with family as well so everyone is on the know. Thank you for sharing! I did like the idea about managing meal calendar but not sure how long my entire family would follow it. I believe I will land up using the app myself later but it surely is a good solution for maintaining an online calendar. This definitely looks like a useful app. I can see how it can help a busy family! I’ll check it out. Thanks! This looks so useful and definitely the kind of app my family needs! Thanks for introducing it to us. This is such a great idea. It will be so helpful for me. This is such a fun app to help me with weekly dinners and to prep my meals for the week. A great tool to assist with maintaining a healthy eating plan. This would be best for my mumma . She always get worried about what to make tomorrow .If she have this app she can plan ahead and I don’t have to worry what I’m going to have in dinner everyday. Thanks for sharing this. This seems like a great idea. I probably need more time to plan to save time though. It’s a vicious circle. This app will allow you to save time and money both since you can also ask your family members to add their wish list. Wow what a great app. I had no idea this was out there! This is a lifesaver, timesaver and moneysaver app all in one! I didn’t know there’s one like this. Downloading and installing now! It was surprise for me as well! I am simply lovely loving it since I am all prep for meals now. I have never heard of this program before. I like that the family can interject their selections. This sounds awesome! My husband and I keep a google calendar for all of our events and meetings and everything going on with the family, but we don’t plan the meals. I can easily see how this would be so handy to have! What a fascinating idea. I had no idea there were apps like this out there. I’m really lucky that I don’t have to think about my husbands breakfast or lunch. So it’s just dinner and I don’t usually have too much trouble. What a great idea this is! The organization and planning looks so easy and I like that the family has access to edit and view. Wow this is great app to use for our home! I always struggle to plan meal for our family what to eat everyday. This is the coolest app that I’ve seen! Wow, this is good. At least you will have an idea everyday on what to prepare. Sometimes I run out of ideas what to cook. So I often end up with unhealthy food. Awesome! My mother absolutely loves cooking healthy and on a budget. This is exactly the kind of stuff she freaks out about. Excited to see what she does with this app.